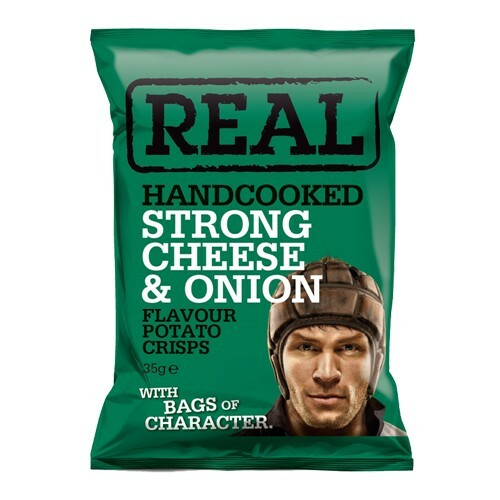 Real Handcooked Strong Cheese & Onion. The BAG with a bit more character. MEET OLLIE. 'Cruncher' to the lads. Captain of his beloved rugby team, this back row forward packs a 'REAL' punch. A strong hunk with many layers; off-pitch this macho guy is a REAL 'wild thing' - loves nothing more than living it rough, survival style, in the woods.